Joomla 3.8 introduced a new ID-less URLs routing system (modern routing) for SEO friendlier URLs. 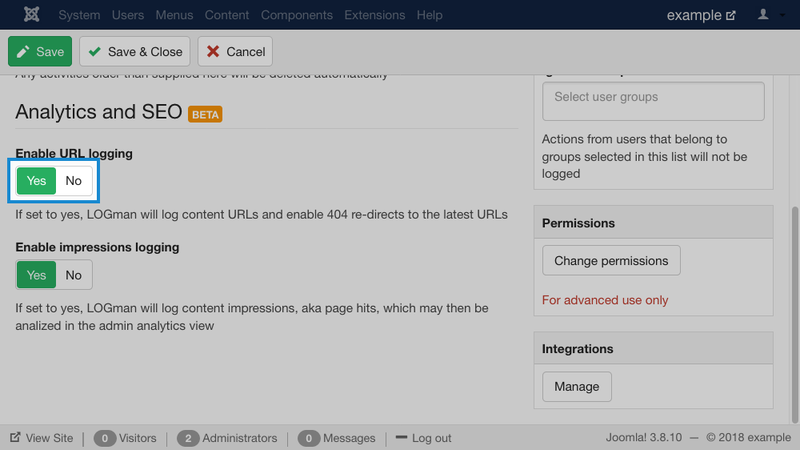 This can lead to 404 conflicts for existing articles if you do not manually add redirect entries in Joomla's redirect component. When enabled, LOGman solves this problem by logging content URLs and automatically enabling 404 re-directs to the latest URLs. URL logging is enabled by default when you install LOGman 4.0, if you are upgrading from a previous version of LOGman you will have to manually enable this feature. Learn more about how to enable LOGman's URL logging feature.